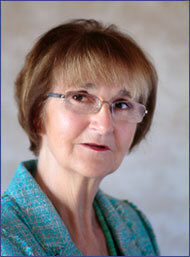 About Nina Roberts - Counsellor and Therapist in Surbiton area near Kingston, Surrey. I offer a sensitive and, at the same time, thoroughly grounded approach which will be specifically tailored to each individual's particular needs. As my experience comes from the various models of counselling, it allows me to use a flexible approach, rather than being limited by only one. The initial meeting will determine the focus and time frame for the work - either an agreed number of sessions or open ended. The safe space provided by therapy will enable you to explore any issues you may bring and help you make sense of your life, relating to your current situation, past issues and hopes for the future. Therapy may then help you to manage problems more effectively and move forward in your life. Since 1992, I have run my own private practice and have also worked in the NHS and private sector. I have also been involved in training other counsellors over the last ten years.